Happy November, Inclusion Lab readers! Let’s kick off the new month with a guest post from UDL facilitator Joni Degner, who stopped by the Lab to share her UDL “eureka moment” with us back in February. 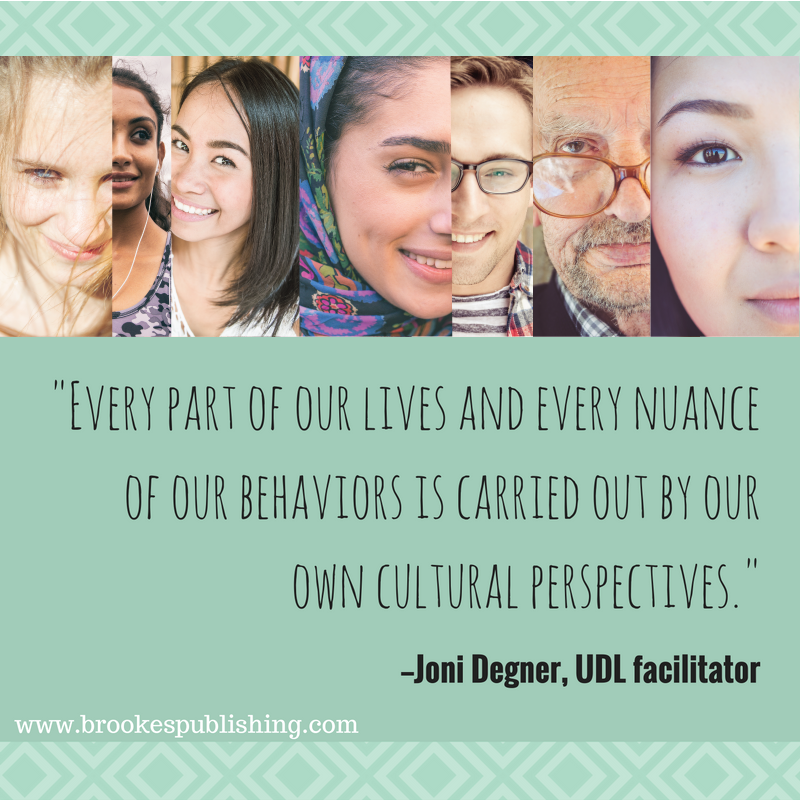 Today Joni’s back with an eye-opening post on culturally responsive teaching–a critical topic in today’s increasingly diverse classrooms. 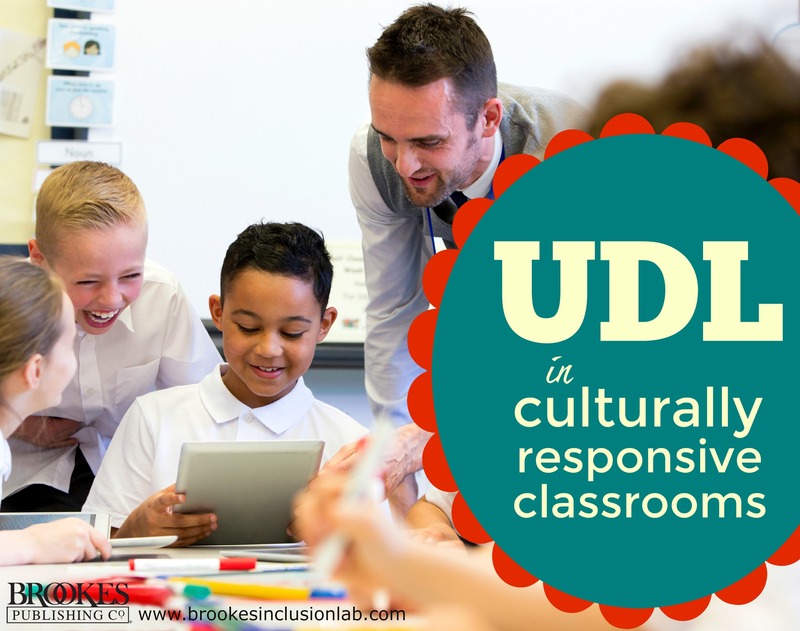 What does it really mean to be “culturally responsive” as a teacher, and how can adopting a UDL approach help? Read on to learn from Joni’s firsthand experience. As a universal design for learning (UDL) facilitator, I spend much of my time working with teachers and talking about learning environments. The question that most often comes up when we’re talking about teaching strategies and the UDL framework is “What does that look like?” Teachers understand the power of modeling and often want to see a model of student engagement or a teaching strategy in action so that they can formulate what it’s supposed to look like and then adapt that to their learning environment. In my most recent work, many conversations have revolved around culturally responsive teaching and how to demystify it. At the time, I was still learning about the UDL framework, something that was quickly becoming the driving force in my school district’s value system. How could I add this other thing on top of that? The thing is…it’s not another thing. I mean, it is, but really, it’s not. Every part of our lives and every nuance of our behaviors is carried out by our own cultural perspectives: everything we see and how we choose to see it; every conversation we have and every conversation we choose not to have; the things we choose to deal with and the things we choose not to deal with. As I began to understand how deep and wide culture really is, and as I explored various resources on culturally responsive teaching and talked with many brilliant UDL colleagues (Jon Mundorf, Liz Berquist, Katie Novak, Lisa Carey, and Loui Lord Nelson), and as I looked to authorities like Dr. Geneva Gay and new voices like Chris Emdin, I began to filter the idea of culture and culturally responsive teaching into the UDL framework. I started looking at specific UDL guidelines and talking about culture in the language of the UDL checkpoints. I can help my students find greater value and relevance if I know what they value. I can offer better options for language if I know what my students want to talk about and how they want to talk about it. I can best help my students plan and strategize by offering my ideas, but also by engineering opportunities for them to discover their own strategies based on their own decision-making and tempo of work. You might ask, how am I supposed to know all of this? Ask. Ask your students. Build in regular opportunities for students to co-design lessons with you. This can be done by posting a question on the board and asking students to give you their input through a chalk talk, an exit ticket, a poll, a back channel chat, or by pulling a few students together for a 15-minute conversation about the work you’re currently doing and the work you have coming up. What do they like? What’s working? What’s not working? What are their classmates talking about? What would they like to learn about? How do they want to learn it? Get their input and then use it. If we can do that, then we can create learning environments that are not only flexible and accessible, but ones with which our students can culturally identify. We can create learning environments with windows that give our students insight into other cultural perspectives, and learning environments with mirrors where our students see themselves reflected. Culturally responsive teaching doesn’t have a look. It has a vibe, a current, and that current moves the conversations and the decisions in the learning environment. Many of those conversations come in the form of questions to your students. Ask your kids for project ideas. Ask your kids what additional resources they need. Ask your kids what they want to learn about. Ask your kids if they want to collaborate. Ask your kids to show you the technology they love. Ask your kids for their stories. And when you ask, give them room to talk and tell their stories. 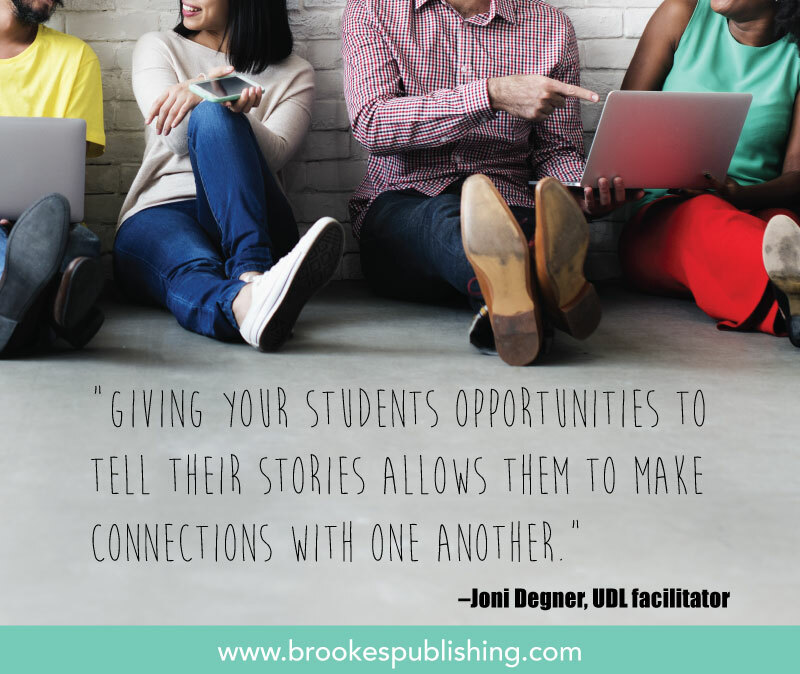 Giving your students opportunities to tell their stories allows them to make connections with one another, and I cannot overstate how critical this is. Our students must be able to connect not only to the learning environment, but also to one another. The relief in all of this is that teacher does not have to be the lone cultural resource in the room. In fact, if we try to assume that burden, we are actually moving away from culturally responsive teaching. Our students are our best cultural resources, and if we want learners who are knowledgeable and resourceful, it begins with us showing them that we value the knowledge and resources they come with. Because culture is so tightly woven into our perspectives, it can be difficult to step out from behind our own cultural screen. Asking our students and using their input is one way we can get out from behind that screen. It allows our students to tell their own story instead of allowing our assumptions to tell their story. Big thanks to Joni for being here today and sharing her experience. Is her approach similar to yours? What does culturally responsive teaching mean to you? In your own diverse classroom, how do you encourage your students to tell their stories and form authentic connections to what you’re teaching? If you have a story about culturally responsive teaching–especially in the context of a UDL framework–we’d love to hear it. You can Submit a Story right here, or send it to jlillis AT brookespublishing DOT com.